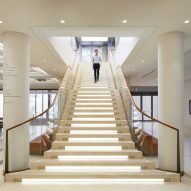 Stanton Williams has redesigned the entrances, reconfigured the ground-floor lobby and added a 400-seat auditorium, in a major rejuvenation of London's Royal Opera House. 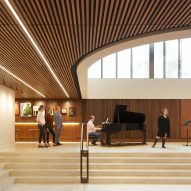 The renovation has been completed as part of the a project called Open Up project, which aims to attract wider audiences to ballet and opera. It will see the building open to the public during the day for the first time. 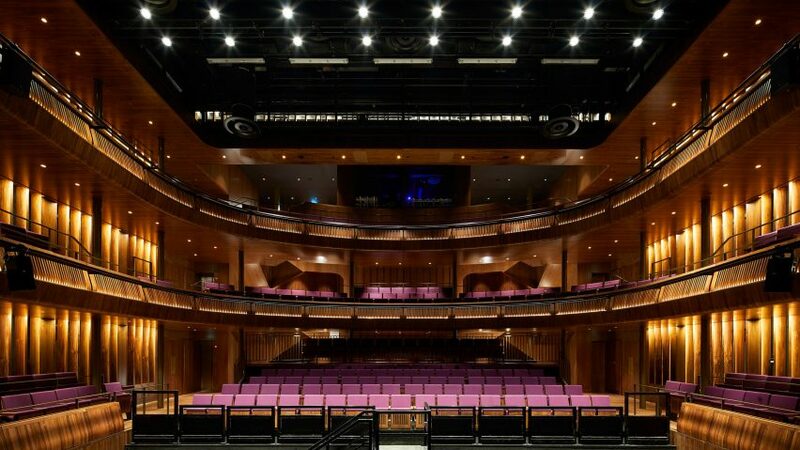 "The Royal Opera House's Open Up project does just that, by opening up what had previously been a fairly constrained set of spaces to the world outside," said Alan Stanton, co-founder of Stanton Williams. 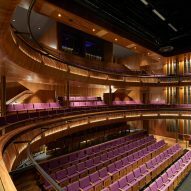 The most dramatic interventions are made to the public spaces in the 1990s extension designed by Dixon Jones and BDP, while the original 19th century building, including the main auditorium, remains largely untouched. 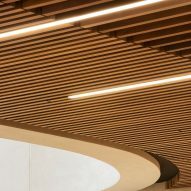 Stanton Williams completely reconfigured the venue's ground floor, creating a foyer that is 50 per cent larger and providing access from two redesigned entrances. 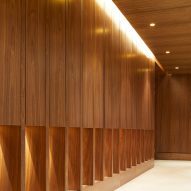 This foyer contains a new cafe and an enlarged shop, designed by interiors studio Drinkall Dean. 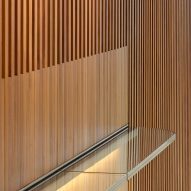 The redesigned entrances, on Covent Garden piazza and Bow Street, have both been planned with the aim of encouraging more people into the building. 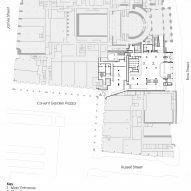 At the main entrance on Bow Street, a projecting glazed pavilion has been added below the existing Floral Hall, while in Covent Garden a transparent revolving door has been built. 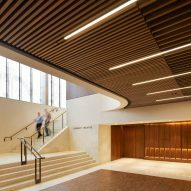 "The Bow Street extension presents a welcoming public face to the building while the expanded and interlinked foyer spaces breathe new energy into front-of- house areas," continued Stanton. 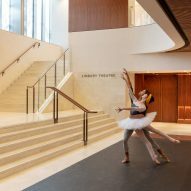 Below the main foyer, a staircase leads to a lower lobby, creating a double-height space that can be used for additional performances. 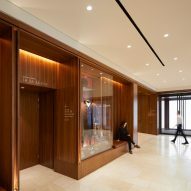 This lobby is the entrance space for the new Linbury Theatre, which replaces the studio theatre. 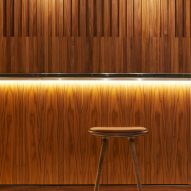 The 400-seat auditorium is largely clad in American black walnut and has adjustable seating configurations. 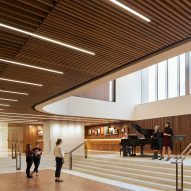 "The new Linbury Theatre is a high-quality performance space that will make an important contribution to the work of the Royal Opera House as one of the world's preeminent opera houses," said Stanton. 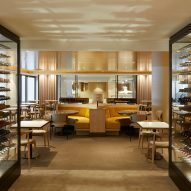 The final major intervention is on the building's upper floor, where the studio has created a bar and 230-cover restaurant designed by Studio Linse. This restaurant will be open to the public. 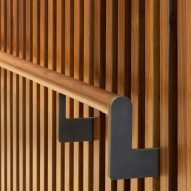 Stanton Williams won the Stirling Prize for its Sainsbury Laboratory, and has recently completed the renovation of the Beaux-Arts museum in Nantes.